GunCon 2 (Light Gun) Compatible. 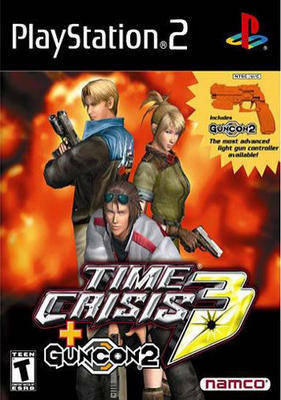 The third installment in Namco's highly acclaimed light gun shooting franchise, Time Crisis 3 offers exciting, fast-paced shooting action by the world renown VSSE's best agents. 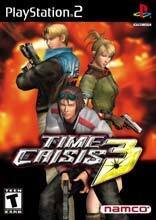 Players will venture to Lukano, a small country on the Mediterranean coast, which has been invaded by the Zagorias Federation. 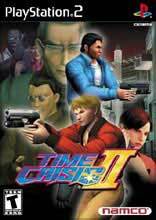 The Zagorian troops have ambushed and taken a key member of the Lukano Liberation Force hostage, while local residents face annihilation by a potential missile strike. 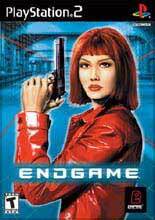 With the fate of Lukano and its neighboring countries in serious jeopardy, the VSSE commits agents Alan Dunaway and Wesley Lambert to neutralize the threatening forces in the area and return power to the leaders and citizens of Lukano. 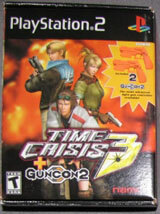 Time Crisis 3 is compatible with GUNCON 2, the popular light-gun which serves as an essential piece of equipment in the player's arsenal. The new Weapon Select System enables players to choose from four weapons (machine gun, handgun, shotgun, grenade) to optimize their game play strategy. 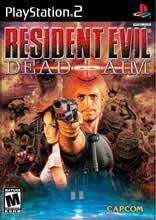 Sniper combat provides intense and lethal sharpshooting action. 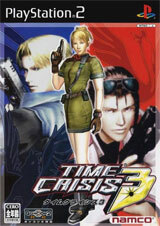 Time Crisis 3 includes the original arcade game, and console exclusive features including a more complex story line, multiple game play modes and a new playable character.